Montessori Woods is really not about us! It is about our children and our customers. This all started because both John and I both love children and we love Montessori! We loved children so much that we had seven of our own and wanted them all to experience Montessori education from infancy through at least a portion of elementary school. Now we look to our grandchildren with visions of Montessori Education for them. 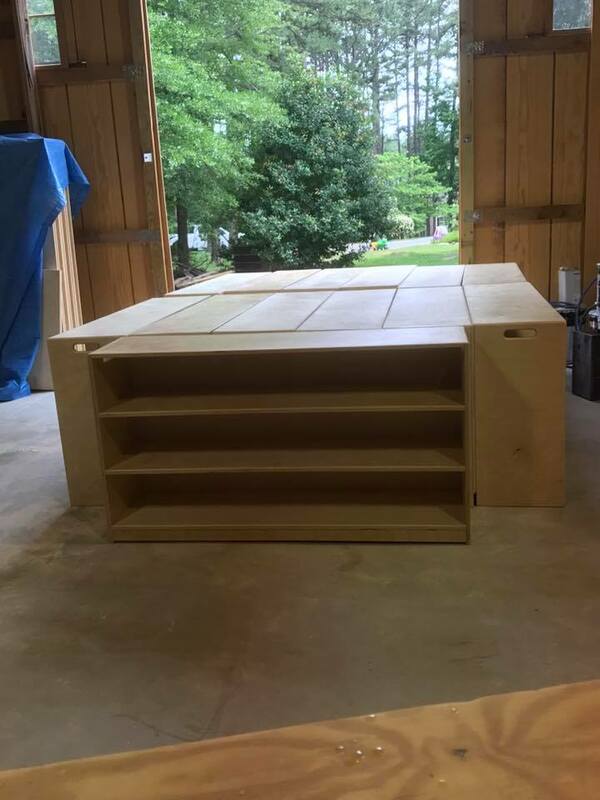 We got into the Montessori furniture business because of our own personal furniture needs when we owned several Montessori schools here in Georgia. It seemed that every spare moment was spent in our garage making a new shelf, a new table or some specialty furniture item for our own schools. 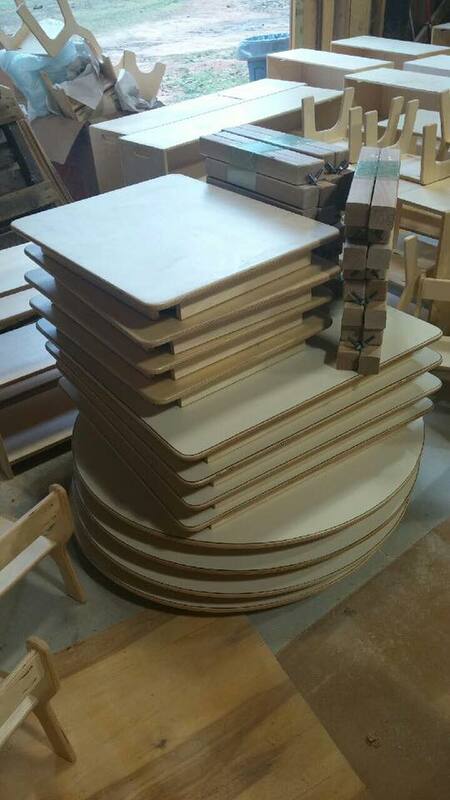 As other Montessori school owners saw our furniture and asked us to make it for them, Montessori Woods was born. John, an engineer, never expected to be making furniture, but that was what life had for him. Our Montessori shop is located in Grayson, Georgia. 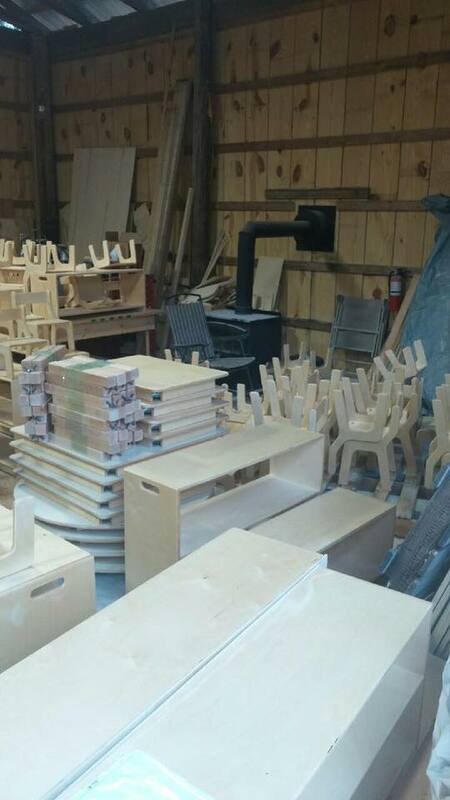 Montessori Woods has developed into a well established Montessori Furniture Company in the USA, having been in the business to create beautiful Montessori classroom environments for over 24 years. We pride ourselves on quality of our designs and wonderful reviews from repeat customers, who come back to us year after year. 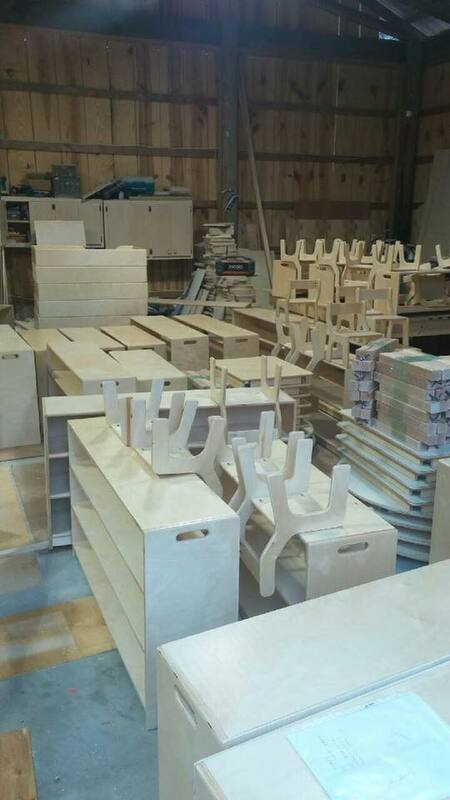 Our Montessori furniture company development has a long history. During the time our own family started to grow, I took the MIA Montessori teacher education course through Dr.Billings to prepare myself to establish a new Montessori school. We have created a new school for over five of our children, having served as teacher, administrator, chief cook and bottle washer on more than one occasion. During those years of owning and running Montessori Schools, we were asked to help many new Montessori school owners in development of new classrooms. Phase II of my Montessori career was helping Dr. Feland Meadows, PAMS, with the implementation of the Georgia Pre-K Montessori teacher training. The first year, we had the sole contract for this teacher training and trained hundreds of new Montessori teachers all across the state. After helping to prepare hundreds of teachers from public school programs, private schools to university level schools,the fire was lit that has led to our consulting, teacher education business. This business has helped to guide new schools in both public and private settings from conception to completion. We are now actively engaged in helping programs all over the country who want to start a Montessori program. This is very exciting work. This has been a long journey that remains at the heart of the child. Montessori Woods is not about us but about our customers and their furniture needs.